Dr. Badimon’s group research interests are focused on cardiovascular biology and the pathogenesis and treatment of atherothrombosis in general. More specifically, his lab is interested on the role of lipids and HDL in the genesis and progression of atherosclerotic lesions as well as the clinical manifestations of atherothrombosis. On this regard, he has done interesting work on the role played by the vulnerable plaque and vulnerable blood to define the vulnerable or high-risk patient. Within this line of research he is involved in the optimizing of the use of the already available antithrombotic agent to reduce the thrombotic implications of atherothrombosis disease and in the development of more potent and efficient new antithrombotic agents. The role of the tissue factor pathway in atherothrombosis, as well as the potential therapeutic implications of its inhibition, is one of his lab major interests. His lab has been very instrumental in studying the activities and optimizing the therapeutic doses of some of the most recent inhibitors of the Tissue Factor pathway (thrombin inhibitors, anti FXa and/or anti FVIIa). More recently he has been involved in the use of non-invasive imaging modalities (MRI and CT) for detecting early atherosclerotic lesions as well as monitoring the effectiveness of therapeutic approaches in arteriosclerosis and thrombosis. 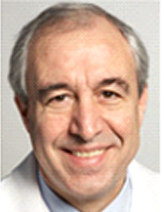 Dr. Badimon has published more than 280 peer-reviewed articles in the areas of athero-thrombosis, imaging and cardiovascular diseases in general. He serves as reviewer for more than 10 top journals in cardiovascular diseases. He has trained more than 30 fellows from different countries throughout his career. The majority of these fellows after their stage with him have achieved seniors and independent positions in their new appointments. Dr. Badimon’s laboratory interests are focused in three majors aspects: 1) Role of antithrombotic agents in the genesis and treatment of acute coronary syndromes. A major line of research of our laboratory is to investigate the pathologic processes involved on the acute coronary syndromes as well as the new therapeutic possibilities. More specifically, we are studying the role of thrombin in the thrombotic process and the potential therapeutic implication of the thrombin inhibtion. Preclinical and clinical studies on the effects of direct and specific thrombin inhibitors and other inhibitors of the Tissue Factor pathway ( Inhibitors of Tissue Factor, FVIIa and/or FXa)are being studied. These studies are being carried out using a perfusion chamber originally developed in our laboratory. This device is well accepted in the literature and it is being used by several groups. We are currently involved in two clinical Phase II studies involving the antithrombotic effects of inhibitors of coagulation Factor Xa. Flow cytometry, platelet aggregation, histology and specific ELISAS are being used to investigate the mechanisms responsible for the observed antithrombotic effects 2.-Pathogenesis of Restenosis after Percutaneous Interventions.- Previous studies by our group and others have indicated a critical role for thrombosis and increased cell proliferation in the arterial response to injury and thus, in restenosis post interventions. The potential therapeutic implications of antithrombotic agents and inhibitors of the cell cycle signaling ( cdki’s) are being studied. New modalities of local delivery are being investigated on the possibility of optimizing the beneficial effects of these pharmacological or molecular probes and simoultaneously reducing their potential side-effects. The availability of an effective local delivery modality could have a significant impact in the studies using gene delivery approaches in the prevention of restenosis. More recently we are also studying the possible implication of apoptosis both in the ethiopatogenesis of restenosis and its potential modulation as a novel approach to the prevention of restenosis post PCI or stent implantation. Several experimental in vivo and in vitro models have being developed and in use for these purposes.